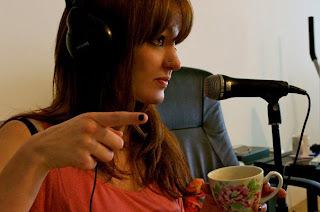 Podcasting is something fairly new to me as a concept really. 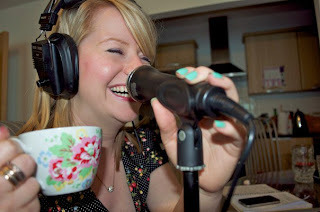 It came up a lot in conversation throughout the Secluded Tea Party’s Blogfest back in November, with some guests having already delved into the world of podcasting, one or two of whom had already been doing it for sometime now, such as the lovely Anne Bramley at EatFeed. 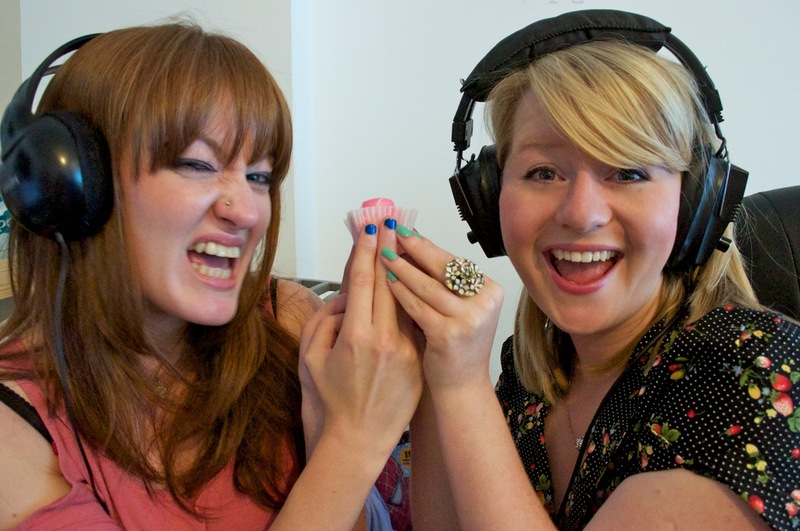 Two other lovely ladies who have also jumped into this exciting and interactive way to get your voice heard (Quite literally) alongside their blog, are fellow Brits Leanne Rice and Sam Sparrow from The High Tea Cast. These clever young ladies have all sat down and put a heck of a lot of thought and planning into each and every word that they broadcast, and as well as Anne, The High Tea Cast ladies do this in a very real approach, one that I can most certainly relate to myself. These beautiful fashionistas don’t pretend to be women they are not, they speak to you on the podcast as they would speak to their best friends down the pub. And that’s what I like about them, they aren’t scared to speak their own mind, try new things and occasionally admit when they have made fools out of themselves. Come on, we all do it, but how many admit it?! 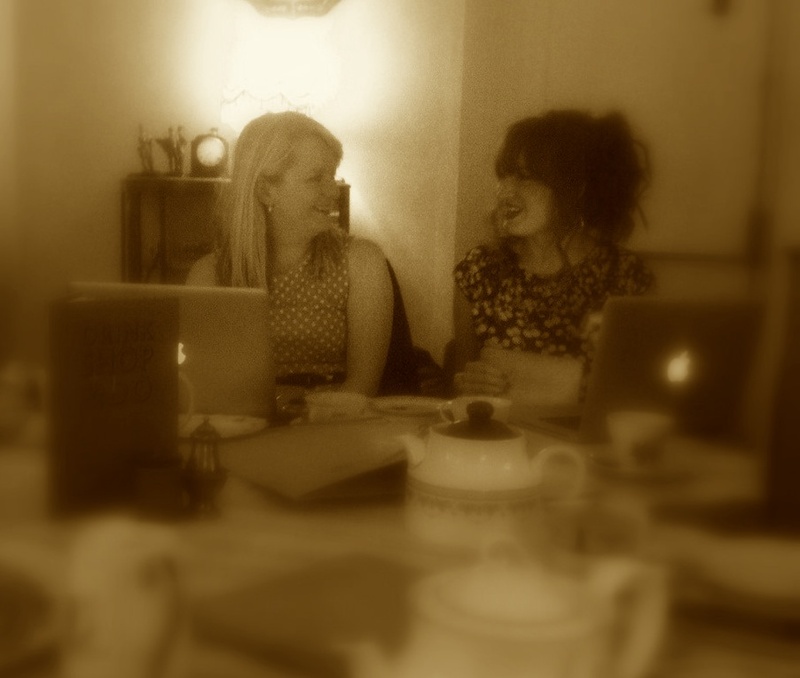 And what tea and cake-based podcast wouldn’t be complete without talk of, well, tea and cake?! They review the best afternoon tea hotspots in London and tell you all about them each month. They also enjoy a cheeky cocktail or two (who doesn’t?!) and they are happy to share their favourite finds each time they broadcast. From independent tea shops to more civilised hotels and bars, there is a real mix and this makes for superb listening. Not forgetting the humorous Simon Button, who’s blog is Simply Simon, where he moans and groans about life and topics of the hour in what can only be suggested as a 1930’s style radio voice. I sit there and imagine him to have slicked back hair, wearing a smart suit and sipping on a G&T whilst twiddling his perfectly shaped mustache between his thumb and forefinger. Discussion topics so far have been subjects close to us all such as fashion faux pas, rainy festival experiences, embarrassing ourselves in front of celebrities, body confidence, the London Underground, and so much more beyond. They also natter to interesting people with a story to tell and they give them the time they deserve to talk passionately about their projects. It’s been inspiring in just 4 episodes so far, from chat such as short girls packing a punch to making low budget films to name a few topics. These ladies have helped me through some very dull day job-related tasks over the last few weeks and I am so glad to have crossed their paths and poured them into my lives, it makes the world seem fun again…. 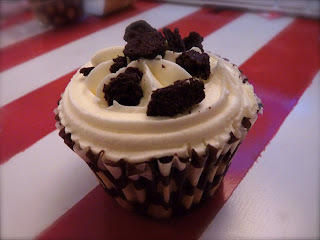 And it makes me want to go out and have cake-based fun too. I defy anybody to give them a listen, male or female, it’s an education in many different ways and it will bring a smile to your face. An added bonus is also to find out that these lovely ladies are going to be speaking at Cybher in May 2012, of which myself and fellow blogger, Feisty Tapas have bagged ourselves early birds to make sure we get our bums down to the big smoke for some blog inspiration – So excited! I have fallen in and out and back in love with the idea of having a go at my very own podcast, and this has spurred me to finally start moving in the right direction… The microphone has been purchased this weekend and my ideas are jotted down… Now to make this into a real life project. Ladies, I thank you for being such an inspiration and helping me to stop toying with an idea and just bloomin’ well do it! I’ve been wanting some new things to listen to whilst making things for a while, these are both perfect. Thank you! I do not quite have enough man power to grow a proper moustache, but have a glorious head full of hair that can be slicked back and I love a good G & T. Glad you enjoy my rants and it’s lovely to get some feedback on it, so thank you very much!